In 2016, fireworks sent 11,100 Americans to the emergency room, according to the U.S. Consumer Product Safety Commission (CPSC). Not surprisingly, 68 percent of incidents took place around Independence Day. The American Academy of Pediatrics reports that approximately one-third of the 1,000 eye-related firework injuries in 2017 resulted in permanent blindness. Prevent Blindness argues that there isn’t a safe way to use fireworks and that the only legal fireworks should be those used by licensed operators in public displays. If you are planning to be around or set off fireworks on the 4th of July, please exercise utmost caution. An eye injury can significantly impact the rest of your life! Please contact SDCB to learn more about our innovative programs for people living with blindness and visual impairments. 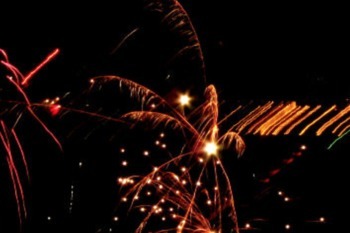 "Backyard fireworks can lead to blindness, other dangers"